Board of Trustees & Management committees roles. 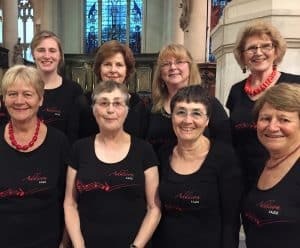 We are a charity so the Board of Trustees has ultimate responsibility for the running of the Addison Group of Singers (AGS), the choirs and the classes. All the posts are held by volunteers, who are elected at the October AGM each year. The Trustees meet twice a term. 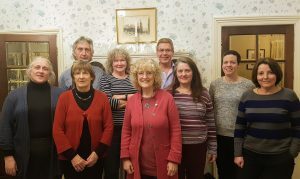 Their meetings follow on from the Management Group meetings for both the Classical Choirs and the Jazz Choirs. There is some overlap between members of the Board of Trustees and the Management Groups. This is inevitable for the Vice Chairs but in other cases, it has come about for lack of more volunteers! We would welcome others to come forward and get involved – perhaps in a shadowing capacity to start with. To help you put names to faces and what they do for the choir– here are some photographs. 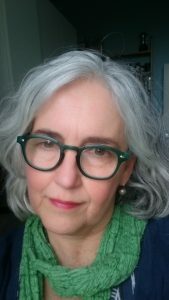 We could not operate without Frederique Genaux, the Membership Coordinator. Frederique is not a Trustee but is invited to attend Board Meetings along with David Wordsworth, Director of Music of the Addison Singers. Like our music professionals, the Membership Coordinator is a paid post. We report to the Trustees and meet twice a term before the Board Meeting. With the help of Frederique Genaux, the Membership Coordinator, we look after the day to day running of classes, rehearsals and most importantly, make sure that concerts happen. There is a lot of organisation behind the scenes to keep everything ticking over and of course it all reaches a crescendo (sorry!) at the concert. We are all (with the exception of Frederique) unpaid volunteers. We would welcome anyone who would like to get involved with the management either formally or informally by under-studying one of the roles. There are also lots of opportunities to help out at rehearsals and concerts in all sorts of ways.